Our mission at CrossFit All Elements is to improve your life, your health, your fitness through physical activities adapted to your condition. We put all our skills, equipment and premises at your disposal in such a way that you can effectively achieve your personal physical goals. Everyone is welcome. 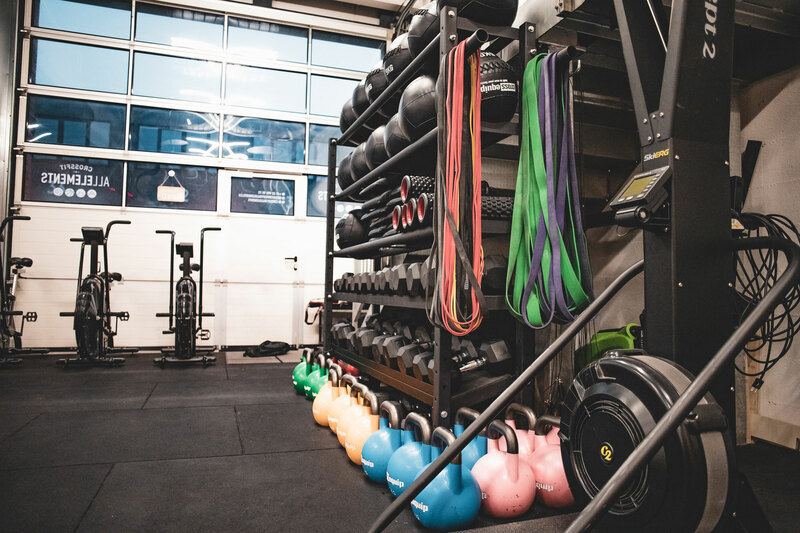 Whether you are an experienced athlete, a beginner, a sport and fitness fan, or even a former athlete, we and our Nyon crossfit gym are here for you. 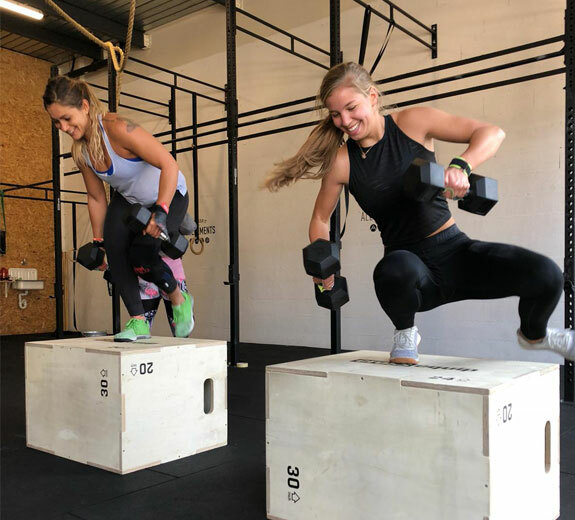 For confident and experienced athletes, we offer you a tailor-made crossfit training to help you improve your physical performance as part of the preparation for a competition (we even offer weightlifting classes and many more). At CrossFit All Elements, we place great importance on the human and community dimension of sport and crossfit in particular. As such, than just imposing you a lonely and unattractive sport routine, we welcome you to a very warm and friendly setting in Gland. To get to our place, there are several options available to you. We are located in Gland (Chemin du Vernay 74), in rooms 14 and 15. Coming from the highway of the city, it will take you just 5 minutes to get there, 10 minutes from the train station and 15 minutes from Nyon by car. Adaptable training method according to the level, using constantly varied and high intensity functional movements. Private lessons with a personalized program and adapted according to your objectives and needs. Intense and sustained course with programming to prepare for competitions. Nutrition is an indispensable tool to loose weight or gain muscle, to feel better and optimize your sports performances. 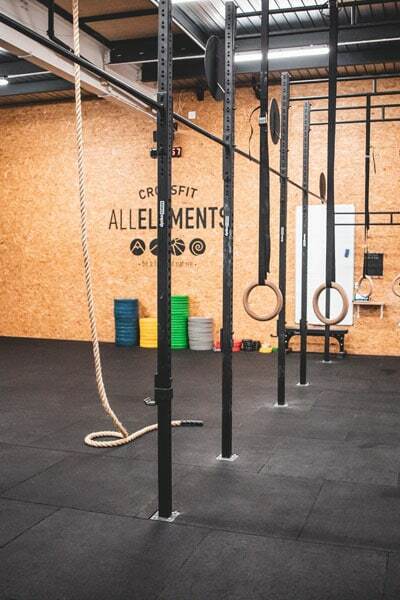 CrossFit All Elements offers you all the possibilities to find the pleasures of sport or effort, discover new sensation, feel great or to prepare for a competition. 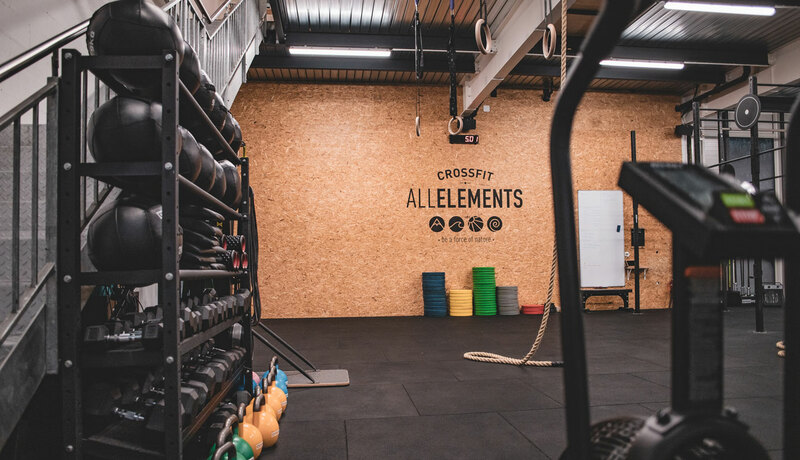 At CrossFit All Elements we offer classes for all levels, we adapt according to your needs and expectations as well as specific weightlifting classes and competitors for the more advanced. CrossFit can intimidate, or even discourage but our expert coaches are there to help you accomplishing your goals and build a program that suits you. At Crossfit All Elements you can feel at home in our Nordic Style Lounge Bar to enjoy a coffee, smoothie or just to relax. We organize a lot of sporting events to have fun and meet the community. To stay informed, follow us on our Facebook page and our Instagram account. At CrossFit All Elements, we know that crossfit, like any other physical activity, can be discouraging. Also, this activity cannot produce the results expected in time, especially when you are not well surrendered. We greatly appreciate the effort and time you devote to your well-being/health (both physical and mental) and to achieving your goals (personally or competitively); that is why we mainly put highly experienced coaches at your disposal. Our coaches, mentors and crossfit experts have all the experience and know-how to motivate, assist and train you in the best way for you to effectively reach your goals. Their experience as Swiss champions in several sports will greatly help you, as well as their training and advising qualities will allow you to produce impressive results in a reasonable time interval. Our crossfit coaches in Gland assist you in crossfit, gymnastics, weightlifting, competitor mode, nutrition and private coaching; you even have the opportunity to have fun alone (without a coach) and make your own programme, thanks to our open gym programme. Sign up now to get the latest offer! Do you have any questions – recommendations – suggestions – collaboration in mind ? Please share it with us !